Renault have denied breaking a “gentleman’s agreement” between Formula 1 teams in which they do not protest post-race. The agreement between the teams is that they should query technical issues earlier. 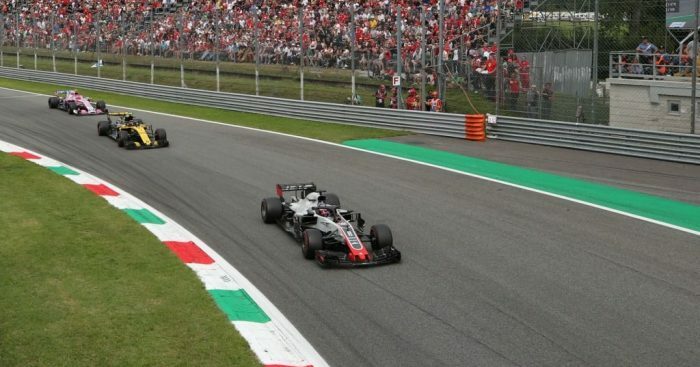 Romain Grosjean was excluded from the Italian Grand Prix, losing eight points for P6, after Renault lodged a complaint against his car’s floor. Renault F1 executive director Marcin Budkowski has said that this was different because of a technical directive that had been circulated. They believed that the onus was on Haas to ensure that its car complied with said directive. “We all look at each other’s cars on a regular basis,” Budkowski told Autosport. “Us and I think quite a few other teams spotted a few races ago, because I think it was a floor that was introduced in Canada. “It’s true that there hasn’t been a protest for a long time. Budkowski went on to admit that the team did not have a problem with how much time they were given to comply with the regulations. The technical directive was sent out after the Canadian Grand Prix, and it gave teams until Monza to sort the issue out. “We didn’t have a problem with the time they were given. But they didn’t respect this time,” the Renault man continued. “I don’t think they were really caught by surprise there. Grosjean’s exclusion meant that Renault maintained their place as the ‘best of the rest’ in the standings. With the eight points the Frenchman had earned for his P6 finish, Haas had moved level with Renault in the Constructors’. However, Budkowski has suggested that the points factor was irrelevant in their decision to protest. “After the race we gathered and we decided whether or not we were happy to let it go and have a car that was blatantly illegal, and in the face of a TD that it didn’t comply with,” he added.